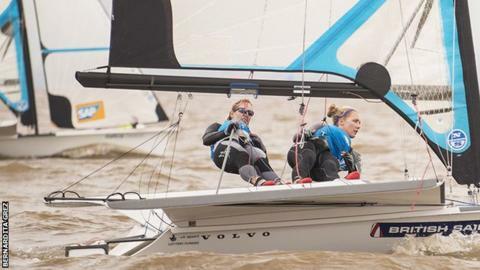 Charlotte Dobson and Sophie Ainsworth claimed fifth place at the 49erFX World Championships in San Isidro, Argentina. The British pairing were four points adrift of a podium place after a tactical mistake in the medal race. Dobson said their Rio 2016 preparations were going well, and admitted: "I think fifth place pretty much reflects where we feel we are right now in the fleet." John Pink and Stuart Bithell were sixth in their 49er class regatta to equal last year's position in the Worlds. Pink explained: "We struggled a little bit earlier in the week. We came down with a bit of illness we think due to the water, but since then it got a lot better and we've been pushing our way back up the leaderboard." "We feel like we've got ourselves in a position where we can push for medals at every event."